KATE SHUGAK is a native Aleut working as a private investigator in Alaska. She's 5 foot 1 inch tall, carries a scar that runs from ear to ear across her throat and owns half-wolf, half-husky dog named Mutt. Resourceful, strong-willed, defiant, Kate is tougher than your average heroine – and she needs to be to survive the worst the Alaskan wilds can throw at her. MIDNIGHT COME AGAIN. Kate Shugak is hiding out in Bering, Alaska. Scarred, scared, and pretending to be someone else... But Alaska State Trooper Jim Chopin, Kate's best friend, needs her to help him work a new case. He discovers her hiding out in Bering, a small fishing village on Alaska's western coast, living and working under an assumed name – working hard, as 18-hour workdays seem to be her only justification for getting up in the morning. But before they can even discuss Kate's last several months, or what Jim is doing looking for her in Bering, they're up to their eyes in Jim's case, which is suddenly more complicated – and more dangerous – than they suspect. 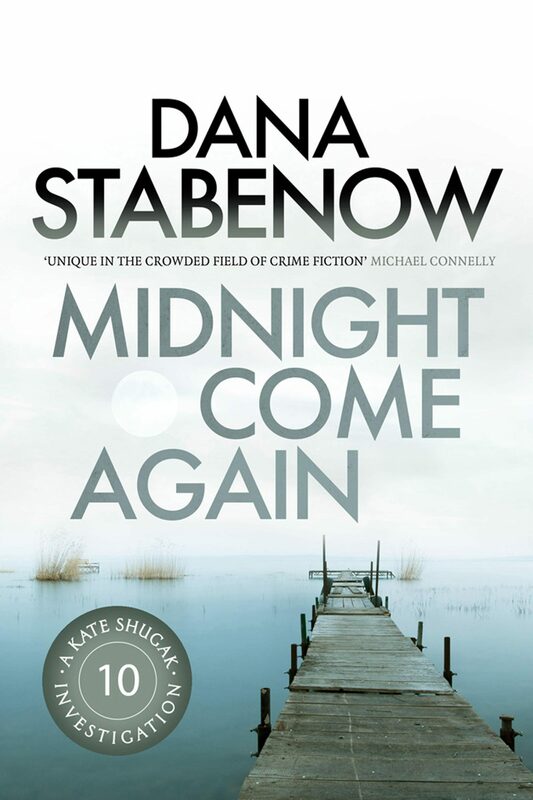 Otros ebooks de DANA STABENOW.